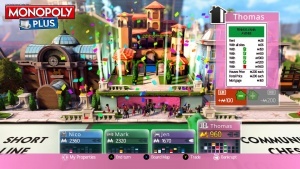 Embark on a Journey to Own it All!With a colorful and 3D lively city animated by funny little sidekicks, Monopoly+ brings the classic franchise to a new level. You can play the way you want using your game pad or your smartphone or tablet. A full 3D city at the center of the board lives and evolves as you play. You own a miniature world where each neighborhood has its own unique identity and characteristics. Its friendly inhabitants will interact with your progression throughout the game and celebrate your achievements, bringing a new dimension to your experience. Feel that you own something special and admire your empire grow right in front of your eyes! 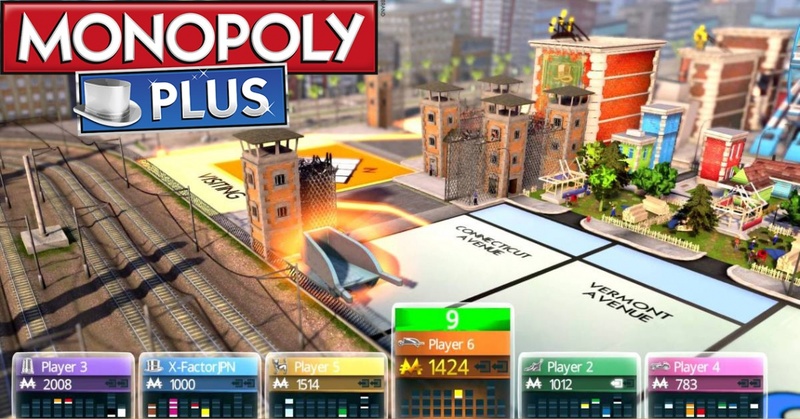 Monopoly Plus introduces a more amplified social experience. Winner or loser, the game allows you to take and displays your photos at very special moments. Exclusive to Playstation 4 and Xbox One. 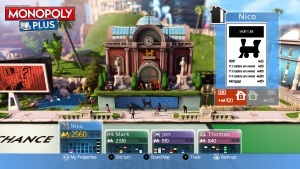 Monopoly Plus offers an extended experience along with My Monopoly: Take on new challenges for a chance to win rewards and new items for your My Monopoly collection.